The gents have known each other for a while — Joseph opened for REM on occasion in the early ‘00s, and Peter backed Joseph on other occasions, including an appearance on The Late Show with David Letterman in 2014. The two reconnected in 2017 at the Todo Santos Music Festival, which Peter curates with his wife Chloe Johnson. After a performance at the festival, Joseph accidentally left a guitar. “I have a house there, and I said to Joe, ‘Drop by. Come swimming,’” Peter said. Joseph stopped by for more than a visit; he moved in! “We’d basically go to the beach, we’d swim in the ocean, and then in the afternoons I’d grab a guitar and we’d sit in the shade and play,” Peter said. 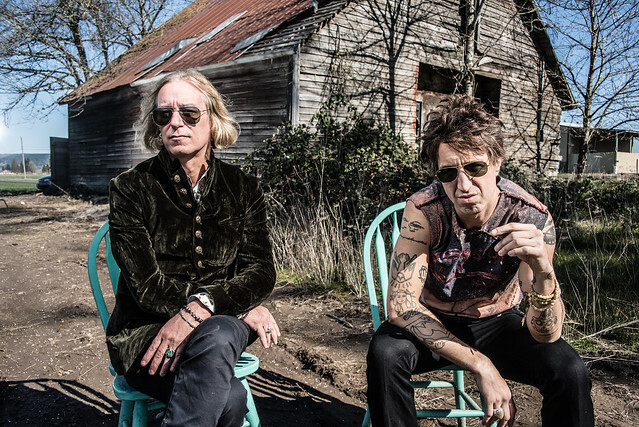 “The regard Arthur and Buck clearly have for each other shows through on every track of this unexpected pleasure,” PopMatters said in a review praising the results.